Over the years we’ve helped several local businesses optimize their Yelp profile. Sometimes Yelp will call and try to sell our clients an advertising campaign. The costs of the packages are typically around $500 per month with at least a 6-month commitment. Our local businesses have complained that expense of Yelp advertising is just not worth the benefit. The return on investment has been very low because the ads only appear on Yelp. Whereas, Local SEO programs, like those offered by Access Publishing, benefit businesses on a broad array of platforms, especially Google. Google gets an estimated 80-percent of searches for local businesses. Yelp is bracing for a fight as a forthcoming documentary accuses the online media company of being a bully. 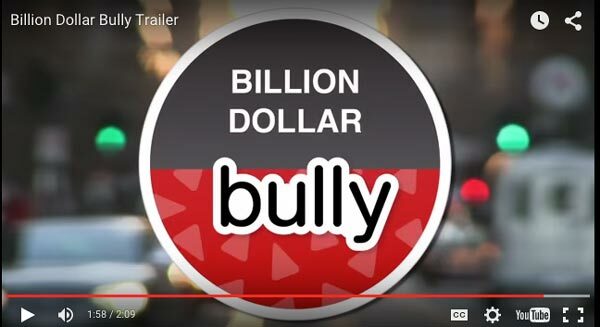 The film, Billion Dollar Bully, is executive produced by Michael Levine, a longtime Hollywood public-relations man who is making his first foray into filmmaking. Yelp has fired back that the filmmaker, Kaylie Milliken, set out to harm the company due to a “conflict of interest” involving her husband’s law practice. Yelp, founded in 2004, allows users to post positive and negative reviews about stores, restaurants and other businesses they have used. The website, which is visited by 142 million people monthly, features more than 77 million reviews. The independent film from Prost Prods. is called Billion Dollar Bully and it makes the case that Yelp is something akin to the mob, allegedly demanding “protection” money, lest your business be overrun with negative comments. A trailer posted online, and embedded below, ominously refers to Yelp’s “filtered reviews” and features legal experts and others alleging horror stories about the service. Read more here. See related article: Why did my Yelp reviews get filtered?